What to Make of Latest Protests in Iran? Security forces, such as agents of the Ministry of Intelligence and Security (MOIS), are photographing the protests, enabling police later to arrest leaders of the protests, violence-prone demonstrators, and those holding aloft political and anti-regime placards. The regime will, of course, try to weather this latest round of protests while arresting leading agitators, to be followed by torture, "recanting" show-trials, and executions. For the past several days, Iranians have demonstrated against a government that has not delivered on promised economic improvement and against a regime whose ruling clerical class they despise. The public's animosity against the existing order, as past protests indicate, is no surprise. Particular aspects of this latest series of demonstrations, however, invite a critical eye by Iran-watchers. The current protests began, not as usual, in the Iran's capital, Tehran. The protests began in Mashhad, center of the wealthiest and most powerful religious foundation in the country. At first, the crowds were demonstrating for the long-promised but undelivered economic benefits that were supposed to follow the roll-back of internationally-applied sanctions against Iran, after the Obama administration delivered more than $150 billion to the Islamic Republic. By the second night of protests, the demonstrators became more hostile and began to focus on political complaints. As a consequence, the regime may have viewed the spreading demonstrations more ominously. In the past, demonstrations beginning in Tehran would then spread to smaller cities, provinces where non-Persian minorities were dominant, and then to rural regions. This time, it appears that rural citizens were in the streets early on. Also, the ongoing protests are not led or limited in large part to students and middle-class professionals, centered in northern Tehran. 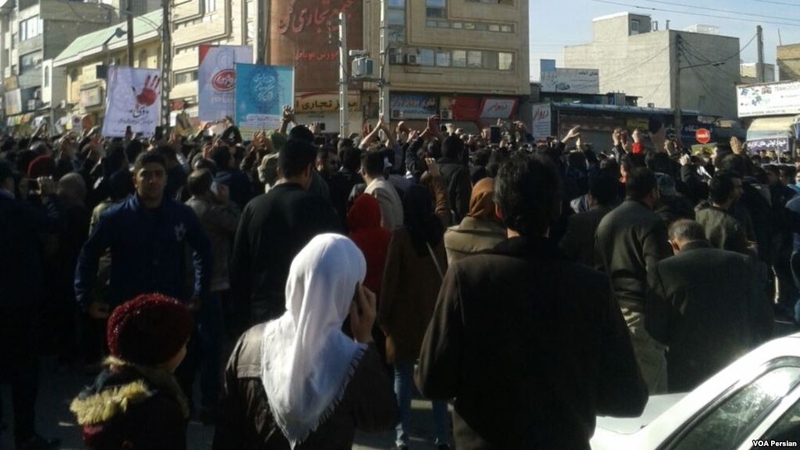 These protests also reportedly include laborers from South Tehran, usually the constituency of populist candidates such as former President Mahmoud Ahmadinejad (term: 2005-2013). The regime, for its part, while quick to mobilize security forces and counter-demonstrations, has been slow to employ lethal suppressive measures. However, security forces, such as agents of the Ministry of Intelligence and Security (MOIS), are photographing the protests, enabling police later to arrest leaders of the protests, violence-prone demonstrators, and those holding aloft political and anti-regime placards. The protests, like many past eruptions in Iran, are not tightly coordinated, and lack recognized leaders and a common agenda. The regime will, of course try, to weather this latest round of protests while arresting leading agitators, to be followed by torture, "recanting" show-trials, and executions. Having spent a few years working in Iran I can tell you that in general the people do not support government by the Mullahs. The younger people especially laugh at them. The Iranian people are very nice. They are conservative by nature but they are friendly and generally very open. 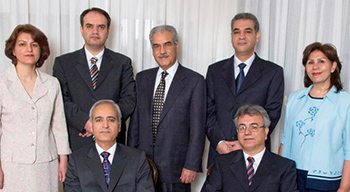 Khomeini cheated them when he came back from exile. He promised them freedom and democracy but he was 10 times worse than the Shah. I hope the Iranian people get what the want. They deserve better than they have now. If Obama had been half a man he would have given Tehran the elbow long ago. The trouble is he is a Muslim (I heard him say 'my Muslim faith') which he kept secret from the American public, although others heard it, and for which he should be impeached. His so-called faith must colour all his decisions which, considering how basically cruel and violent it is, is very concerning. Is the West going to show the necessary support to the protesters this time? Well, Trump has come out in support of them! Do you think Obama would? HA! !Trump is the only leader with true courage and integrity. But he is constantly harassed and denigrated for his stand for justice and truth by the leftists in power and in bed with the corrupt media in the U.S. Sad! ".... Obama administration delivered more than $150 billion to the Islamic Republic...."
THAT was thought to be a magnificent BRIBE to persuade the Iranian leaders to adhere to the demands they curtail their nuclear program. It DIDN'T! And, apparently our former "leader" had the Treasury quickly print skid-loads of crisp, new $100.00 bills and charter a plane to immediately ship skids of CASH that was NOT used to distribute to civilian populations or ANYTHING remotely connected to relieving food and fuel shortages brought about by so-called "sanctions!"